Two Myanmar Chief Ministers have invited global investors to be a part of Myanmar’s economic growth story. Dr Zaw Myint Maung, Chief Minister of Mandalay region and Dr Myint Naing, Chief Minister of Sagaing region invited the over 350 industry leaders from 65 countries participating in the Horasis Asia Meeting to be a part of the Myanmar growth story this past week. 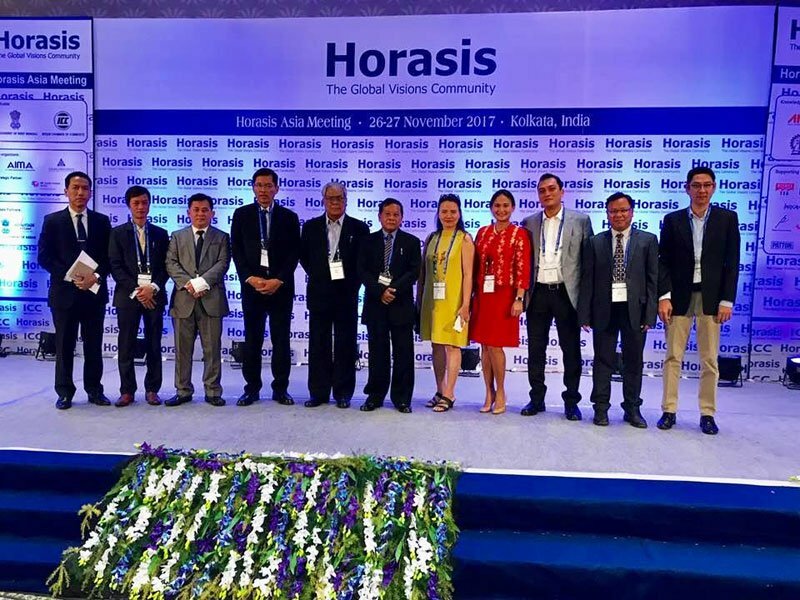 The Horasis Asia Meeting was held in Kolkata, India, on November 26-27, and co-hosted by the Government of West Bengal and the Indian Chamber of Commerce (ICC). Speaking on the occasion, Dr Zaw Myint Maung highlighted the strategic location of Mandalay in Myanmar, the long-standing relationship between Myanmar and India, strong cultural beliefs and other similarities which bind the two countries. He invited the investors to participate in the growth and development of the region and the country and mentioned the Look East policy of Mr Narendra Modi, the Prime Minister of India. Dr Myint Naing said the abundance of coal in the Sagaing region is suitable for investors in the power sector, hydro-electric projects and other related sectors. India, China, Bangladesh and ASEAN account for 46% of the world’s population and Asia with an annual growth of over 5% is going to be the global growth engine, he insisted. The region, which has a population of 5.3 million, is rich in natural resources and has 9 million acres of forest, over 5 million acres of cultivated lands and 4 million acres of wild land, the Chief Minister pointed out. Sagaing is famous as the paddy barn of upper Myanmar, he added. It is worth mentioning here that Sittwe port is just 420 nautical miles from the Kolkata port and when it is fully developed can save time and money for import and export of goods. Myanmar is sure to attract the attention of global investors with both the leaders emphasising the proximity between Myanmar and India, cultural similarities and the strategic location of Myanmar as the Gateway to the East. The Myanmar CMs invited more development driven investments into Myanmar such as technology to develop the agriculture sector of Myanmar. The meet was also attended by some of the top industry captains from Myanmar. Those gracing the occasion included Managing Partner of Sandanila Investments, Thiri Thant Mon, Editor-In-Chief and Managing Director of Mizzima Media Group, Soe Myint, Managing Director of Informationmatrix, Thaung Su Nyein, Chief Executive Officer of Parami Energy, Ken Tun, Founder and Co-founder of Mango Group, Rose Swe, Chief Executive Officer of Myanmar Innovative Life Sciences, Kyaw Thu Htet, and Chief Executive Officer of MaximaxSolution, Than Aung.